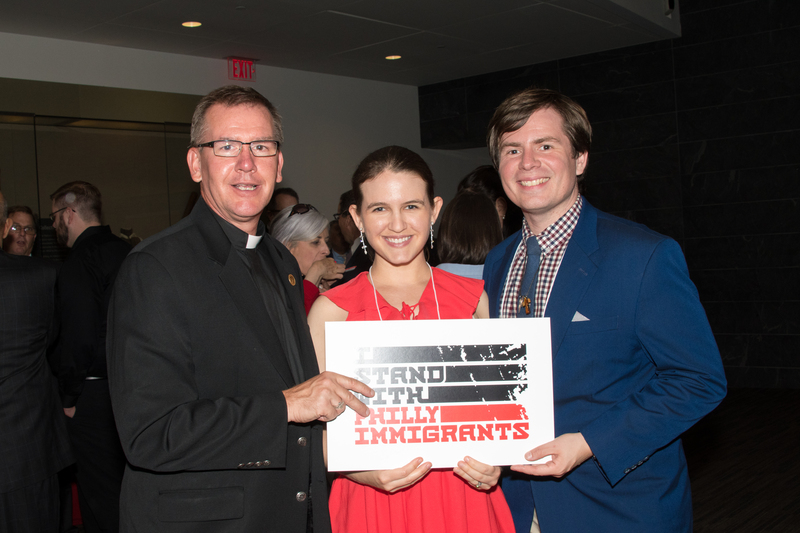 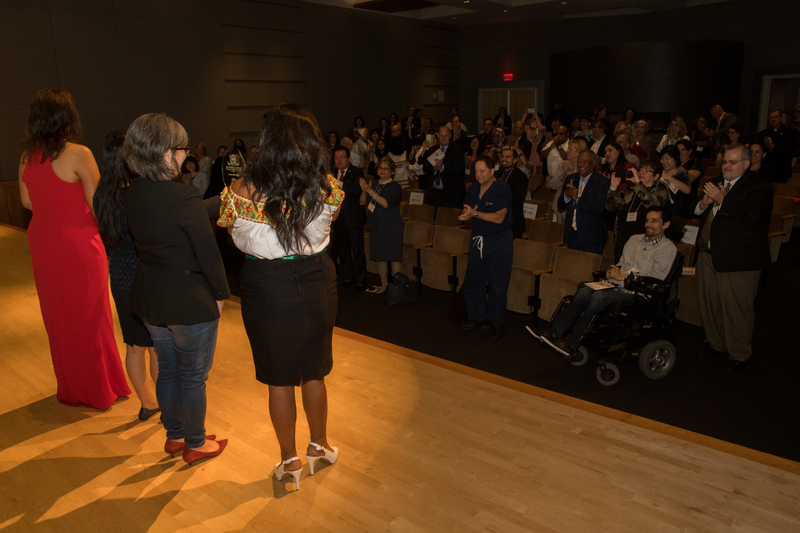 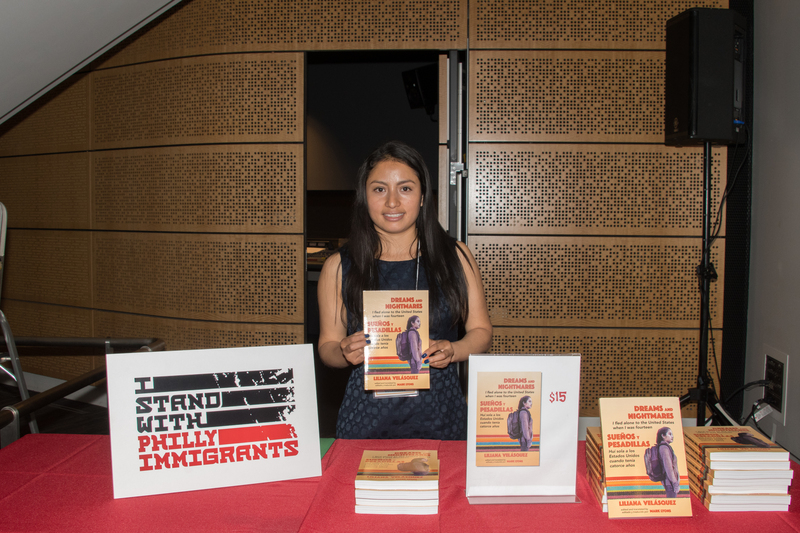 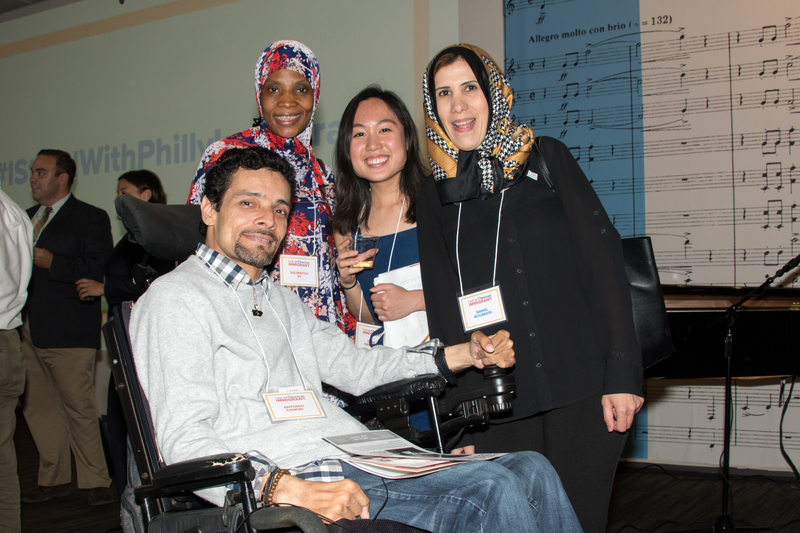 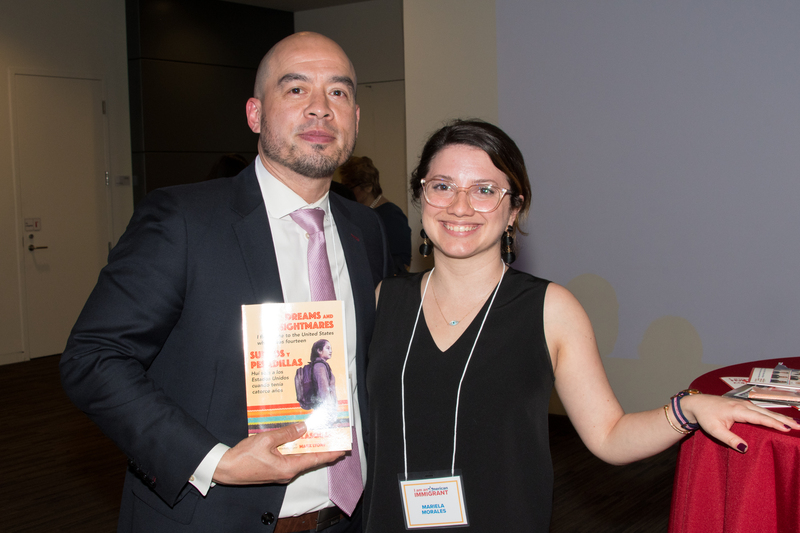 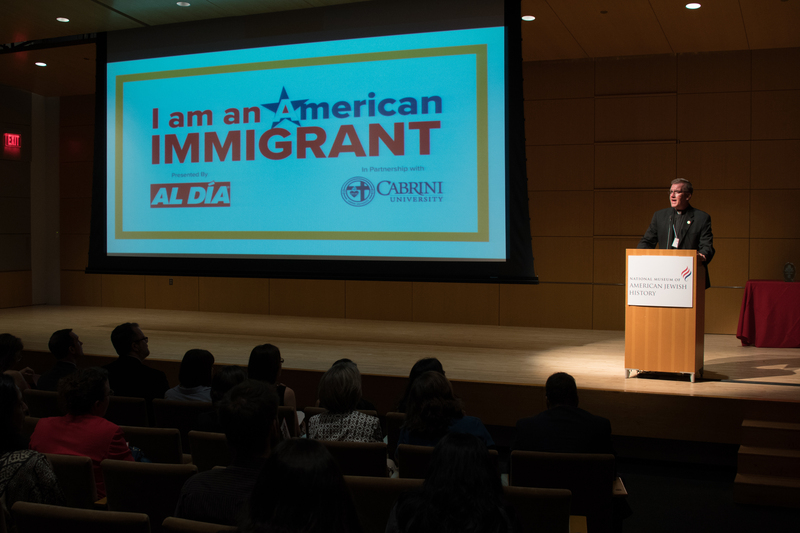 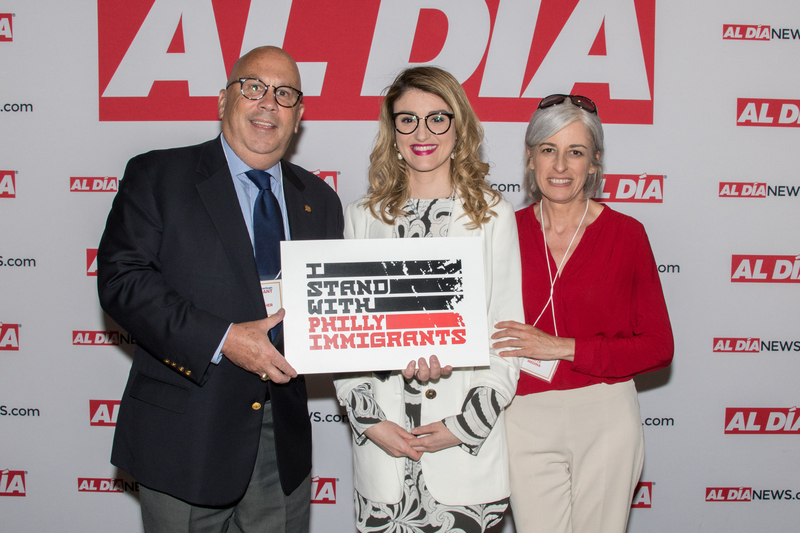 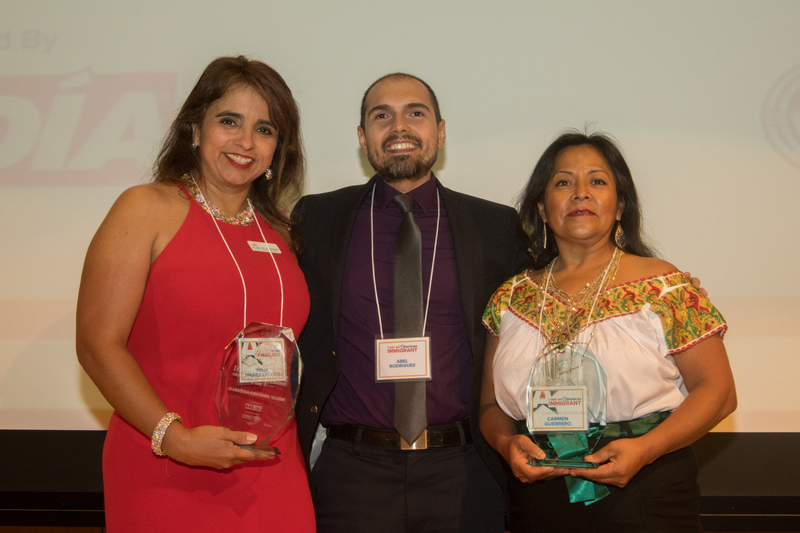 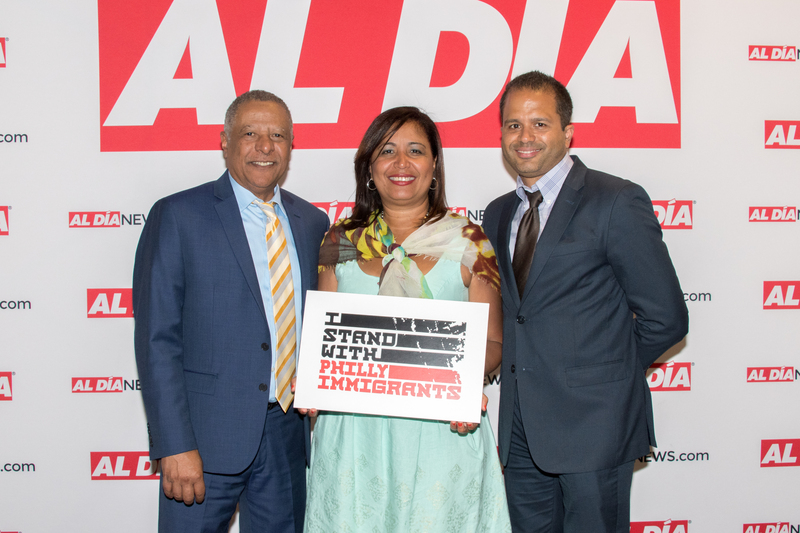 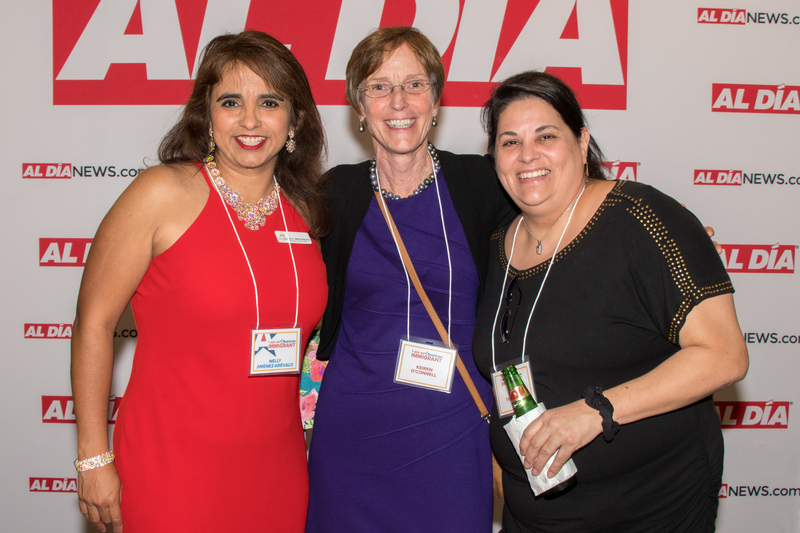 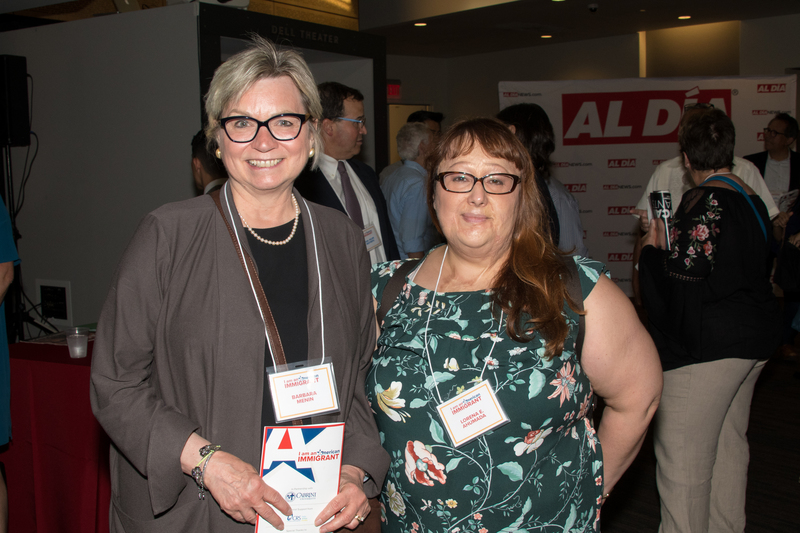 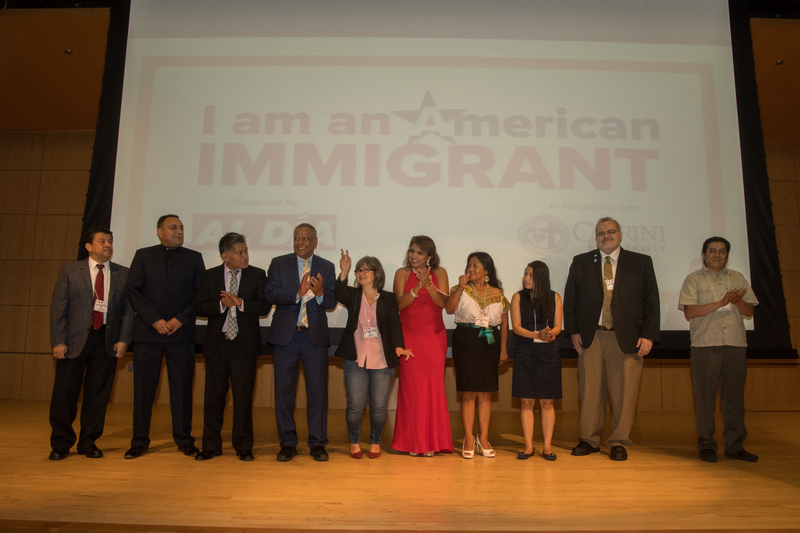 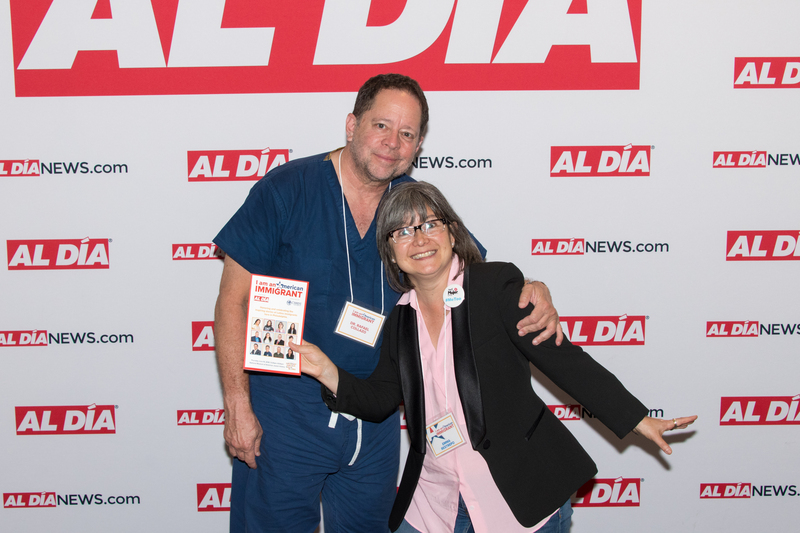 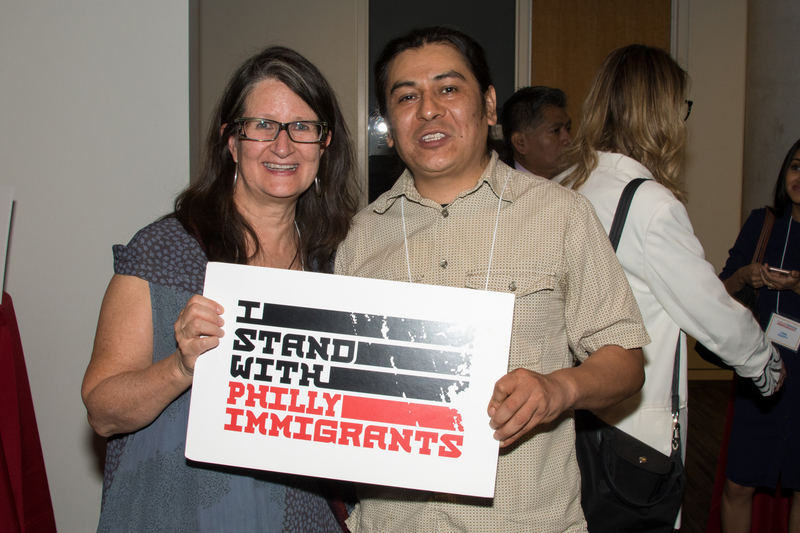 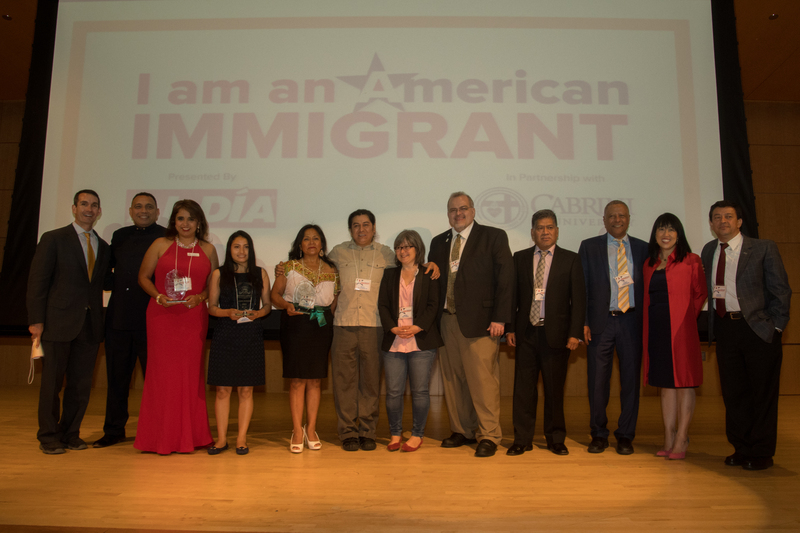 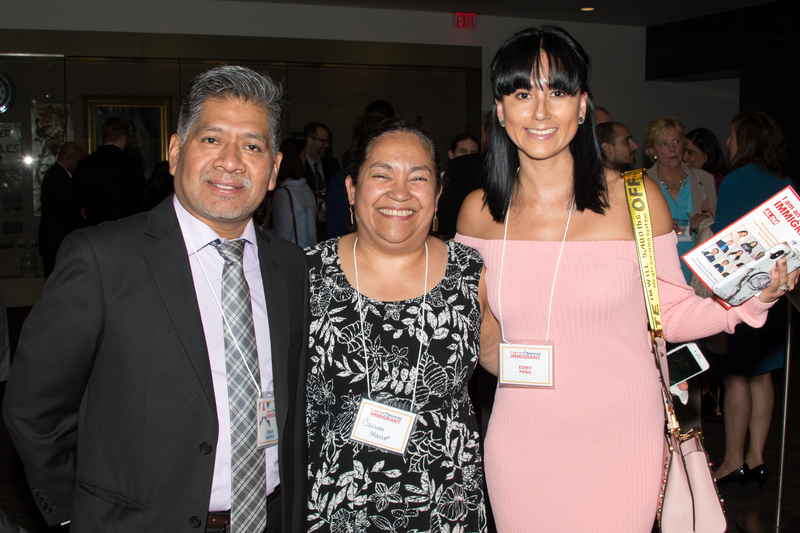 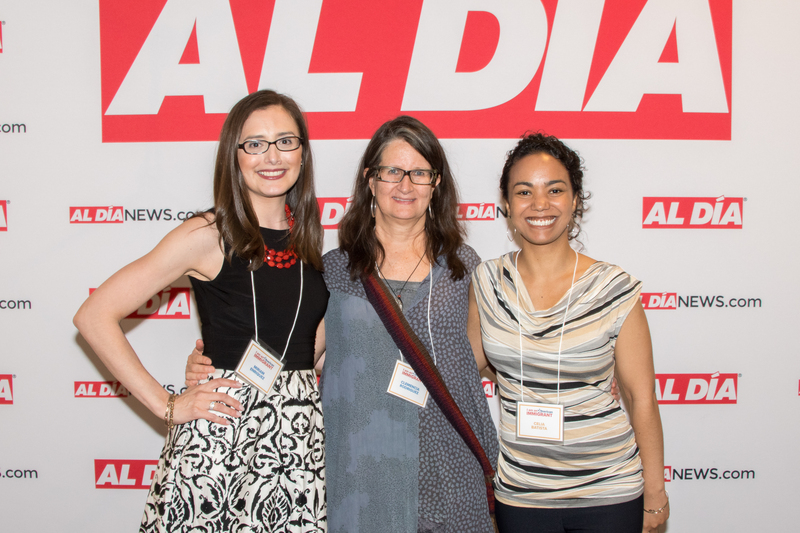 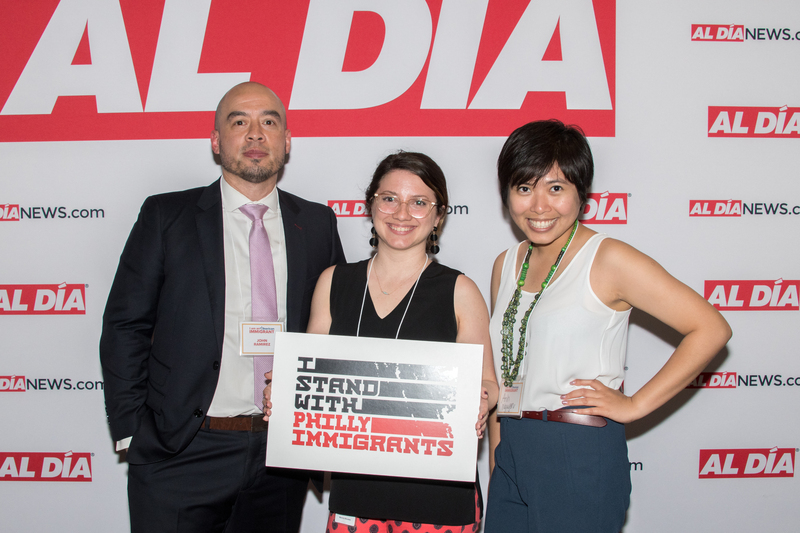 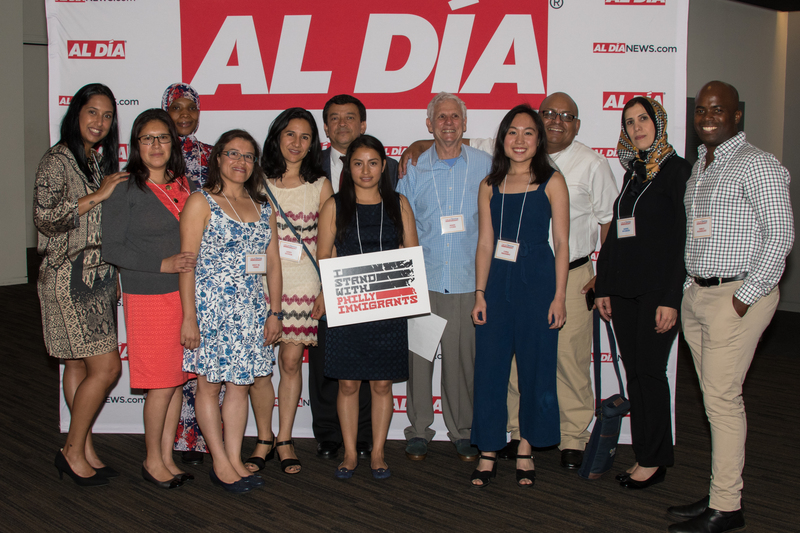 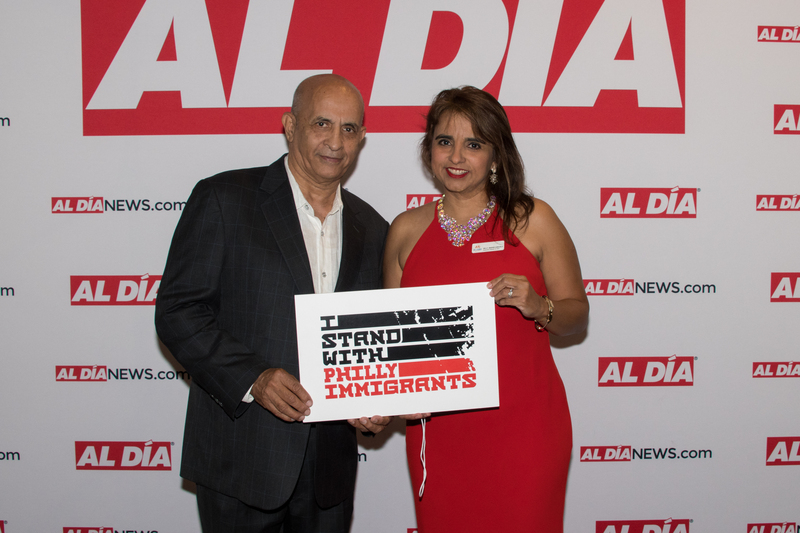 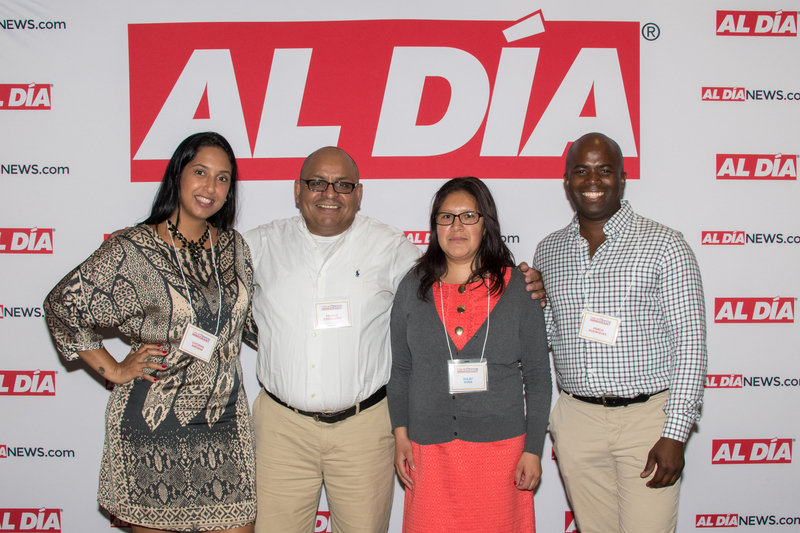 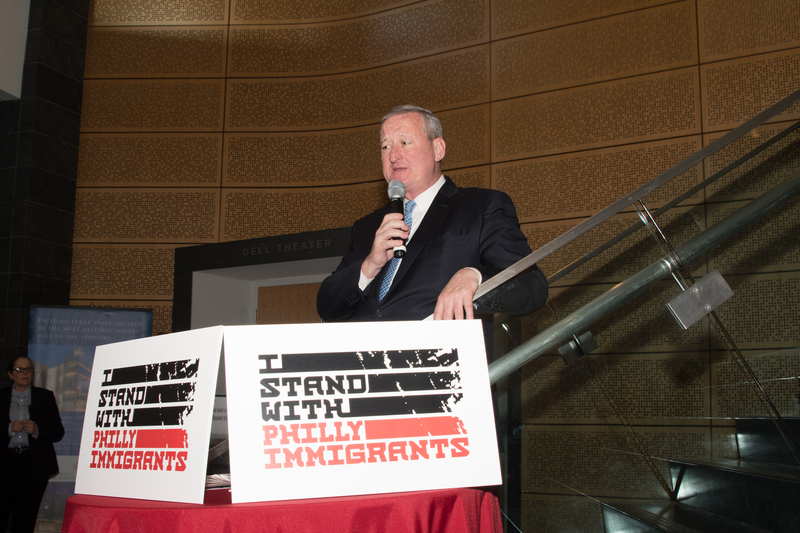 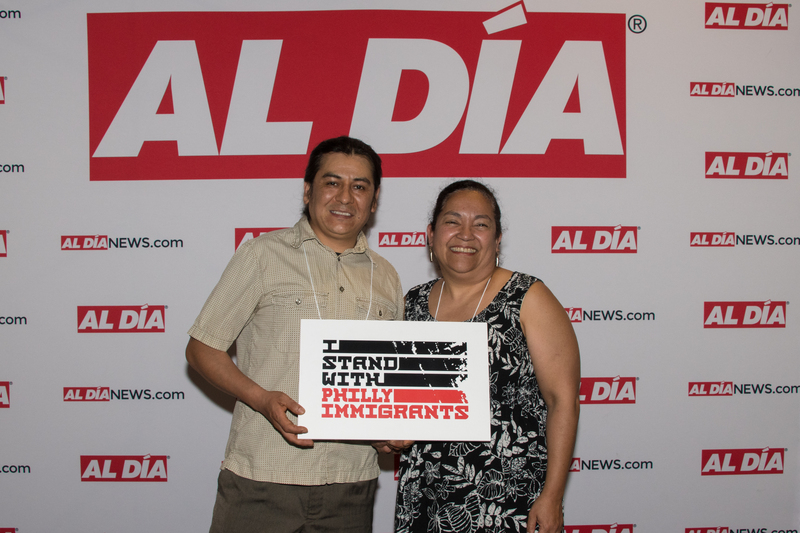 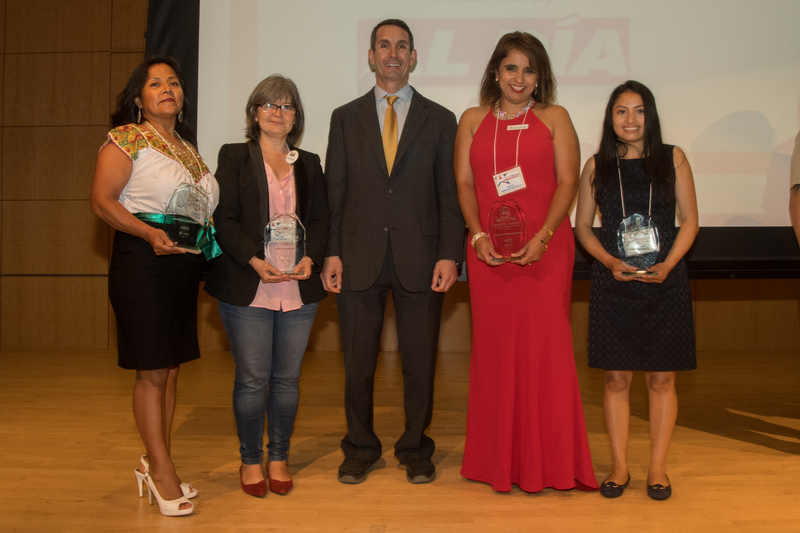 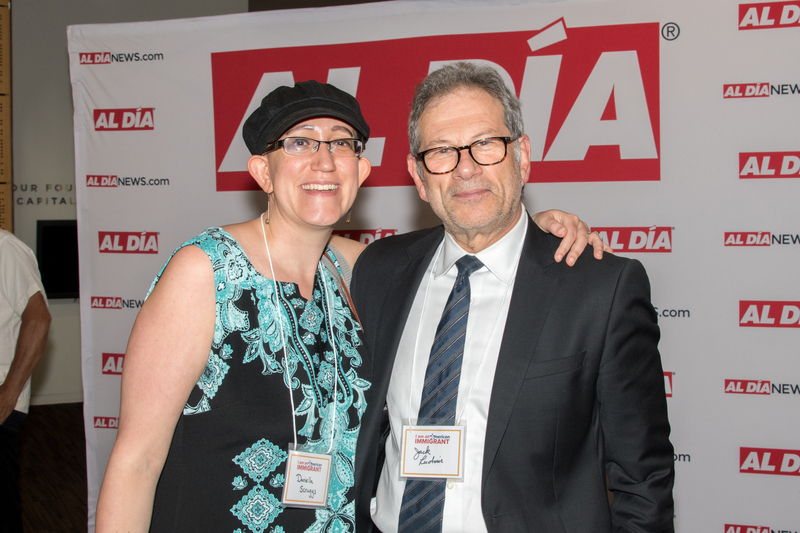 On Thursday, June 14, an awards ceremony marked the culmination of the first installment of what we expect will be an annual AL DÍA signature to recognize the positive contributions that immigrants make in the Philadelphia region: the “I am an American Immigrant” campaign. 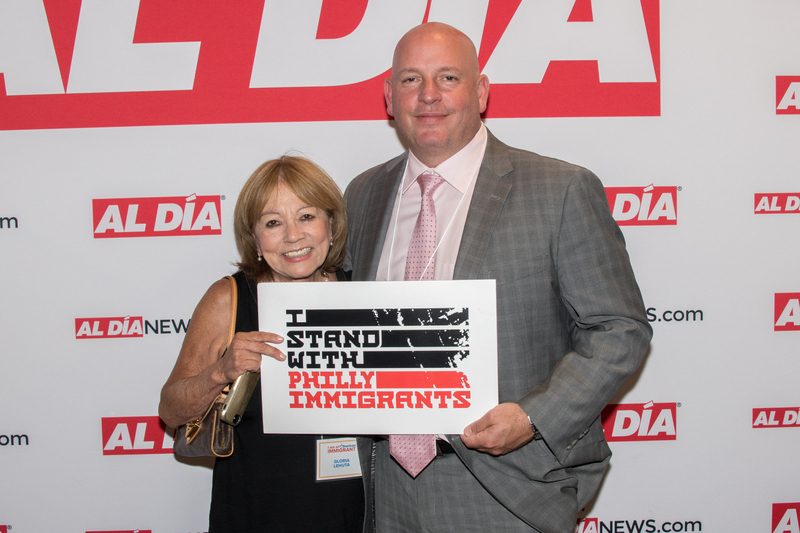 The idea was conceived with a mission to spotlight the stories of 12 Latino and Hispanic immigrants living in our area through a six-month editorial project, which would end with a June event held in recognition of Immigrant Heritage Month. 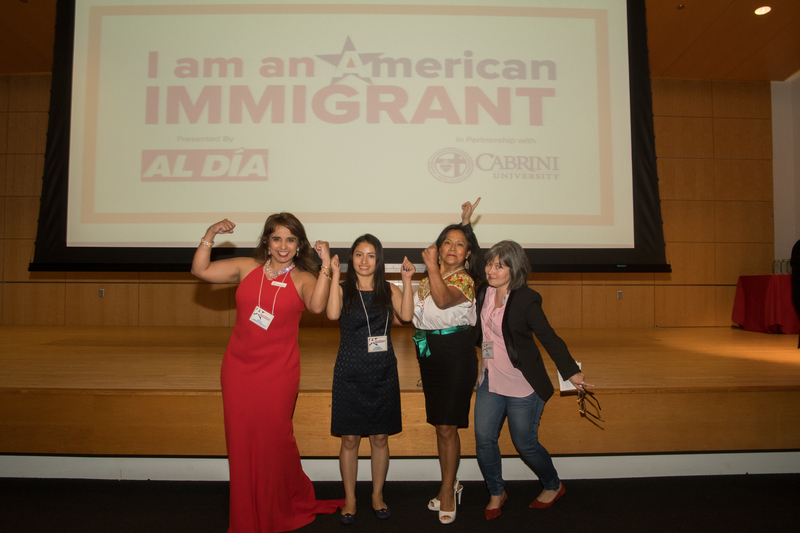 The project, which was organized in partnership with Cabrini University, was launched in December 2017 with the call for nominations — anyone could submit the name of a Latino or Hispanic immigrant who they believed deserved to be recognized for the impact she or he makes in the Philadelphia community. 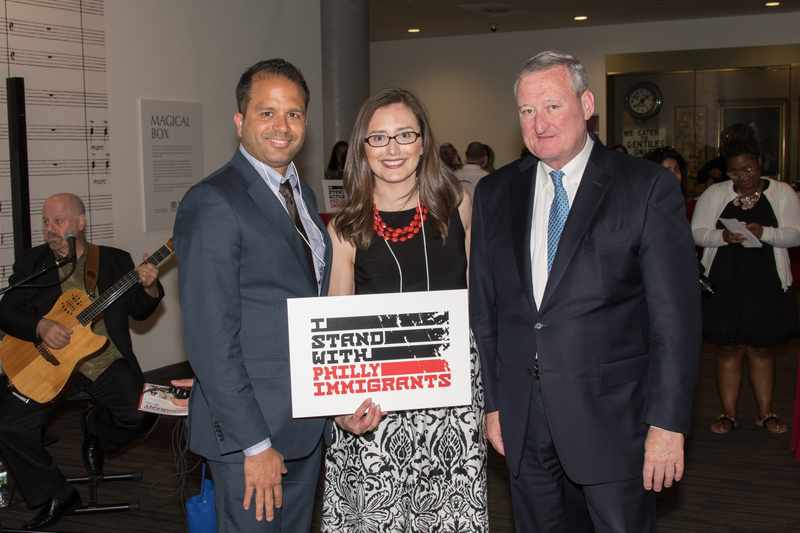 From the more than 70 nominations received, 12 finalists were chosen by our selection committee, which was comprised of local leaders intimately familiar with the immigrant experience: Abel Rodriguez, the director of the Center on Immigration at Cabrini University; Jennifer Rodriguez, president and CEO of the Greater Philadelphia Hispanic Chamber of Commerce; and Peter Gonzales, president and CEO of the Welcoming Center for New Pennsylvanians. 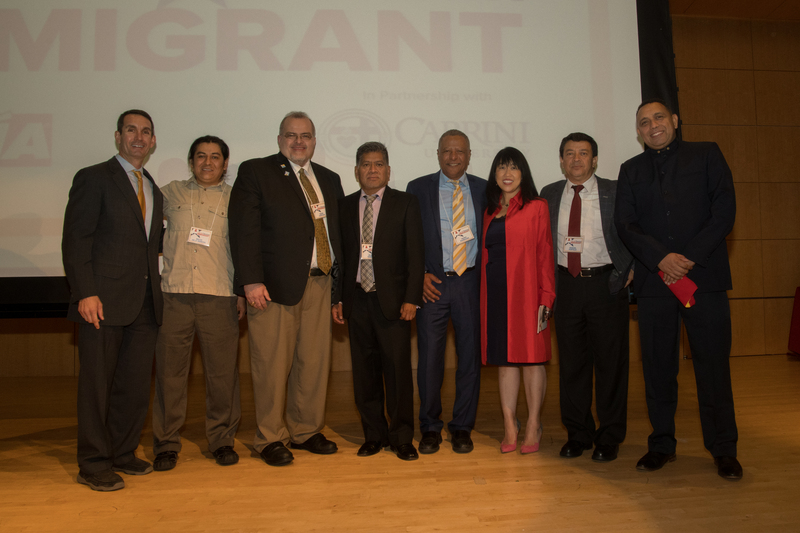 David Hurtado, dean of administration and program development at Esperanza College of Eastern University. 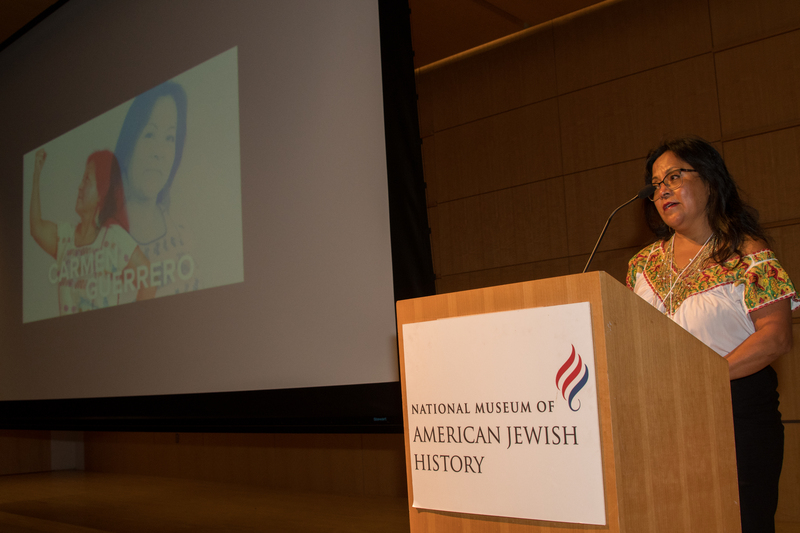 Carmen Guerrero, co-founder of Coalición Fortaleza Latina. 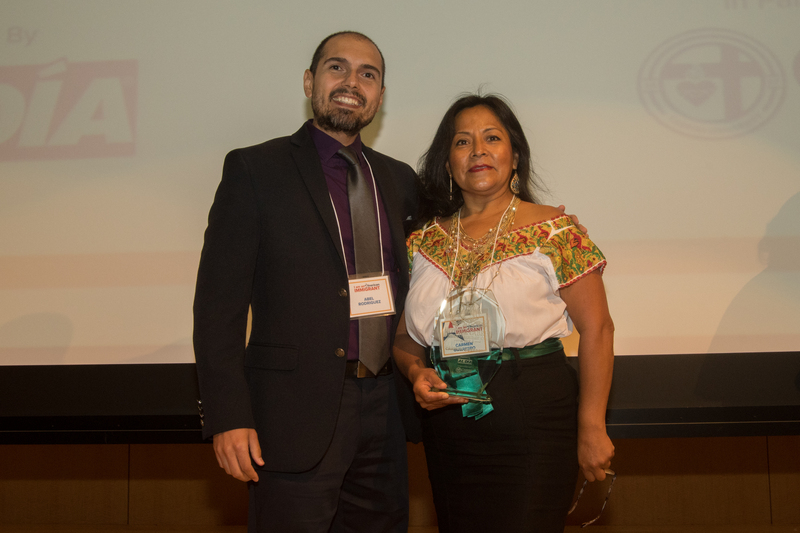 Francisco Javier Hernandez Carvajal aka Brujo de la Mancha, co-founder of Ollin Yoliztli Calmecac. 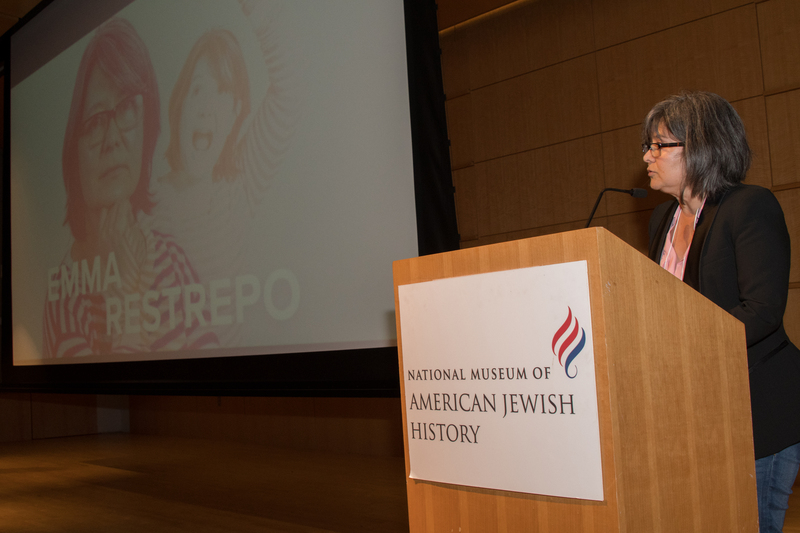 Emma Restrepo, journalist and host of radio show Para Tí Mujer. 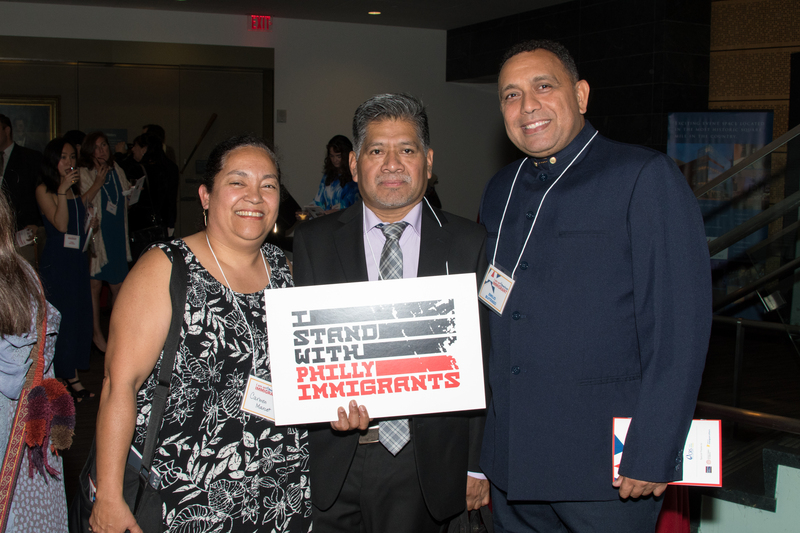 Manuel Portillo, director of community engagement at the Welcoming Center for New Pennsylvanians. 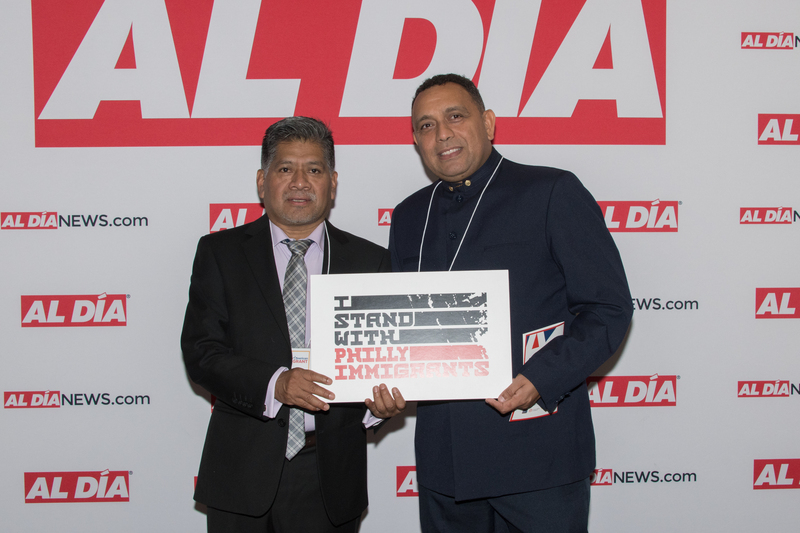 Pedro Rodriguez, director of the Office of Human Resources for the City of Philadelphia. 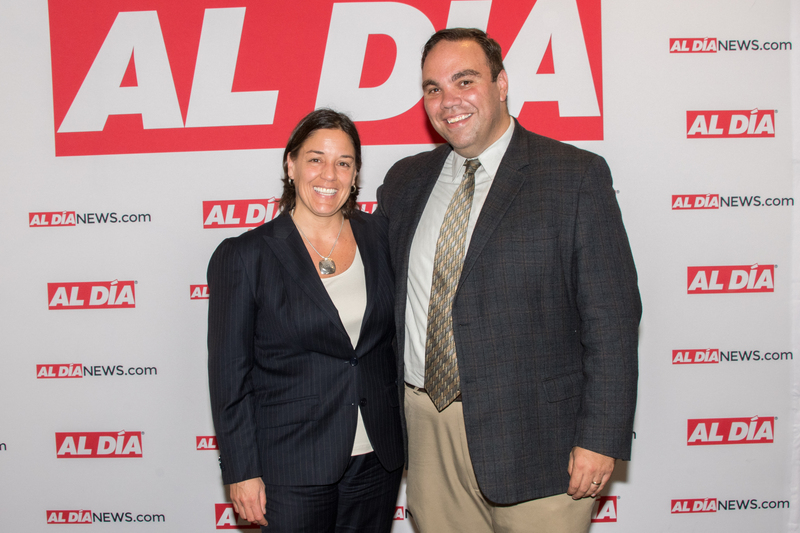 Cristina Martínez, chef and co-owner of El Compadre Restaurant. 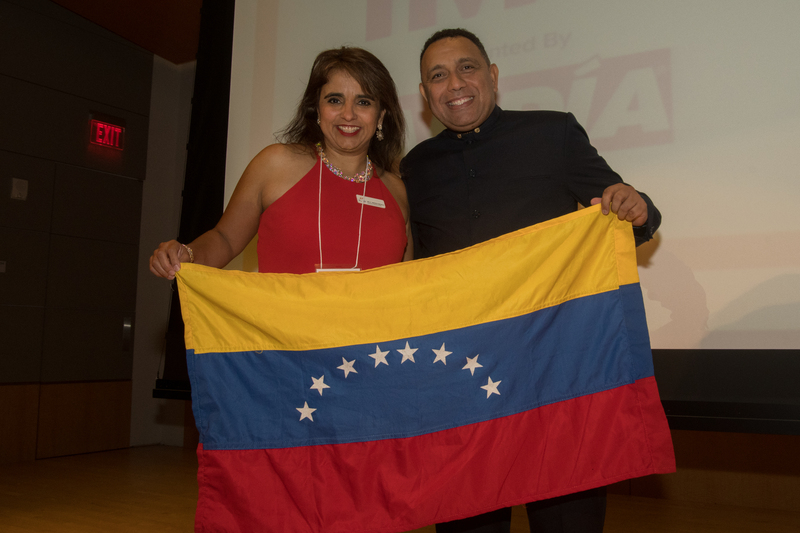 Emilio Buitrago, project manager at Siemens Gamesa and co-founder of Casa de Venezuela. 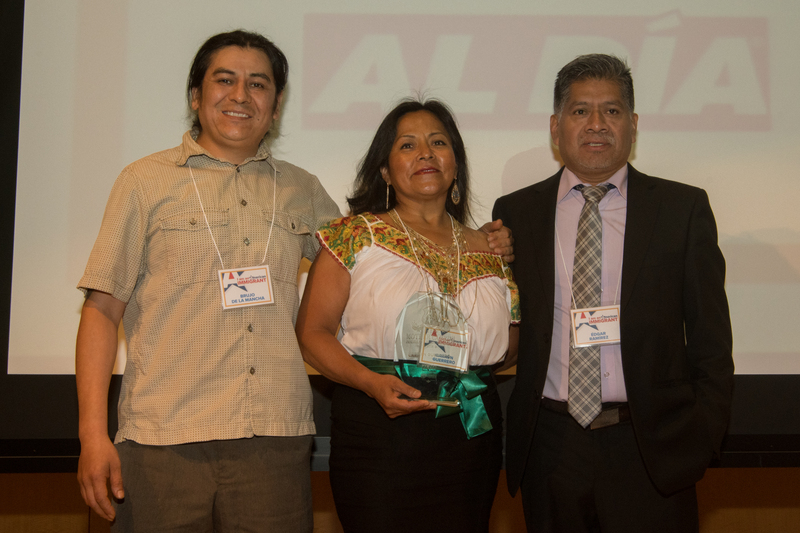 Nelly Jimenez-Arevalo, CEO of ACLAMO Family Centers. 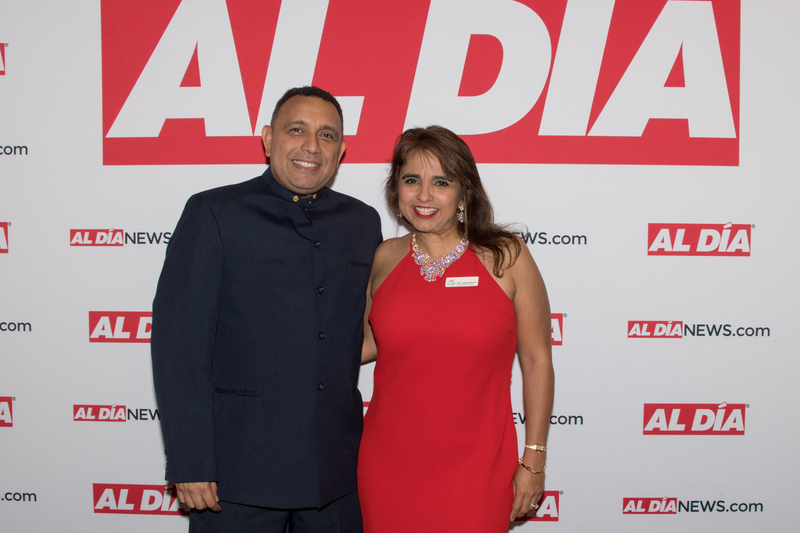 AL DÍA journalist Edwin López Moya conducted candid interviews with every finalist, then put together video portraits of each person. 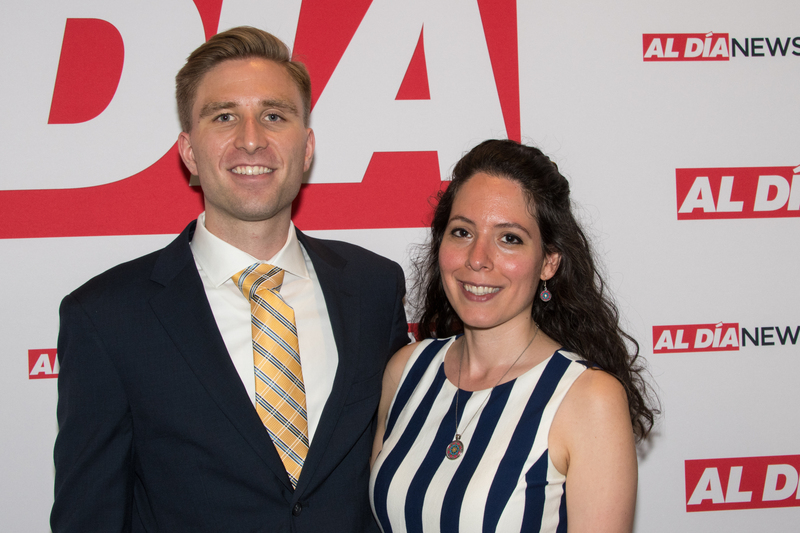 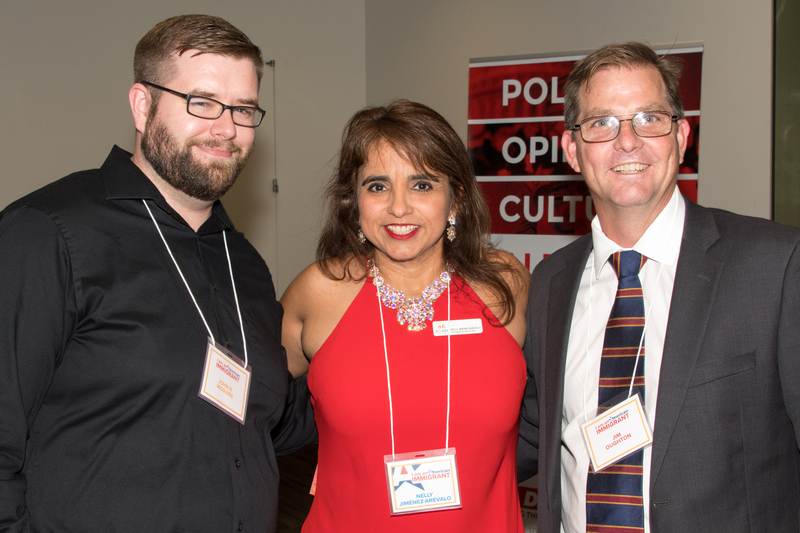 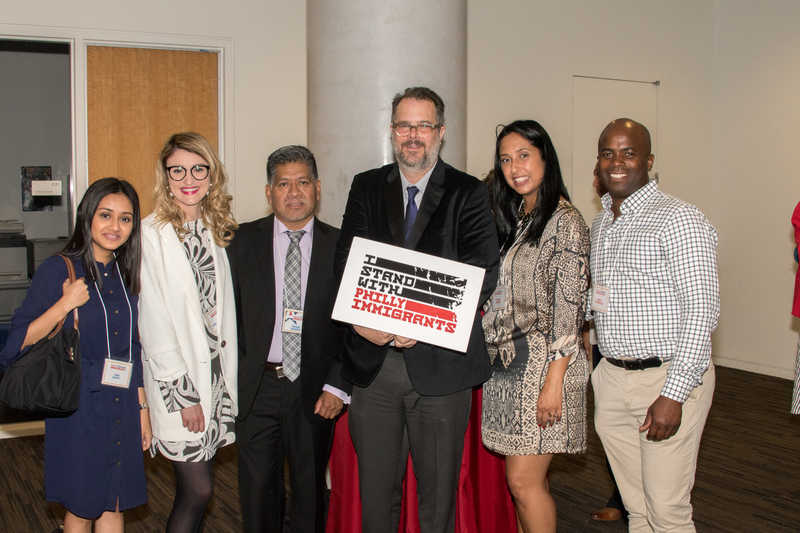 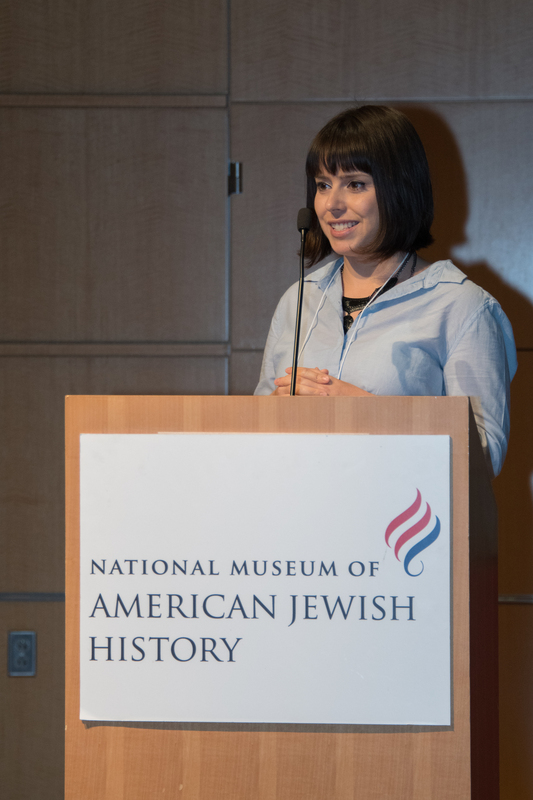 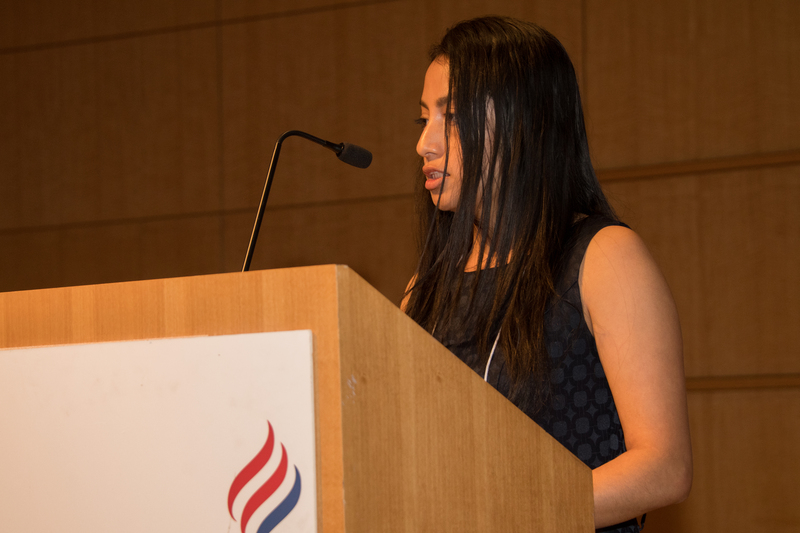 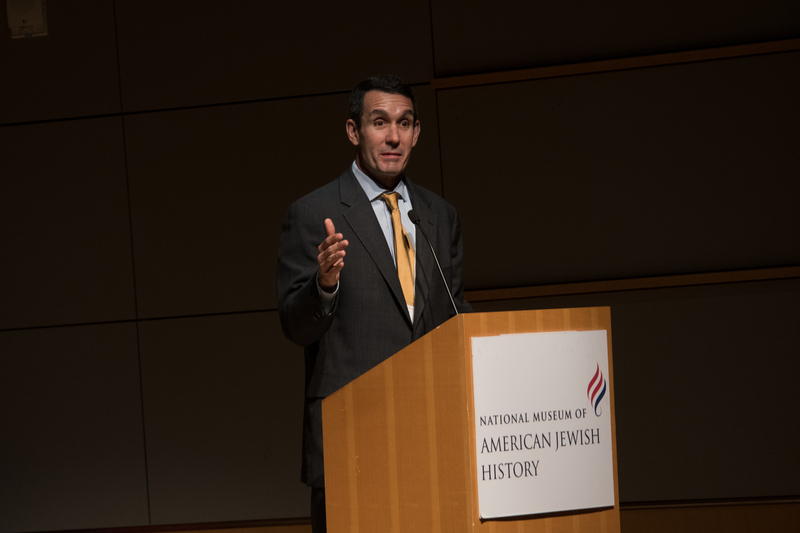 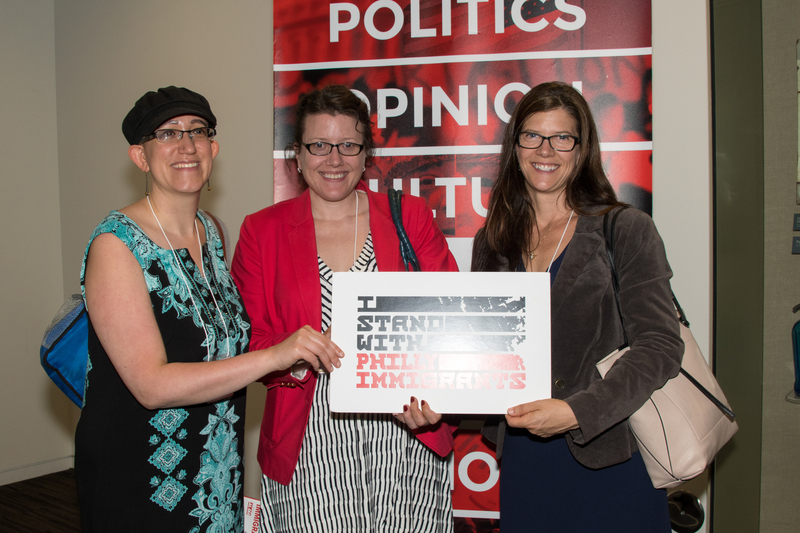 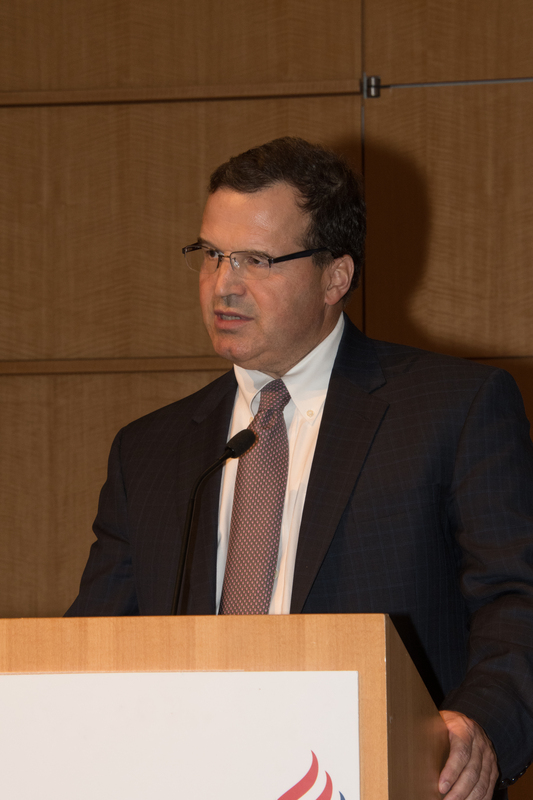 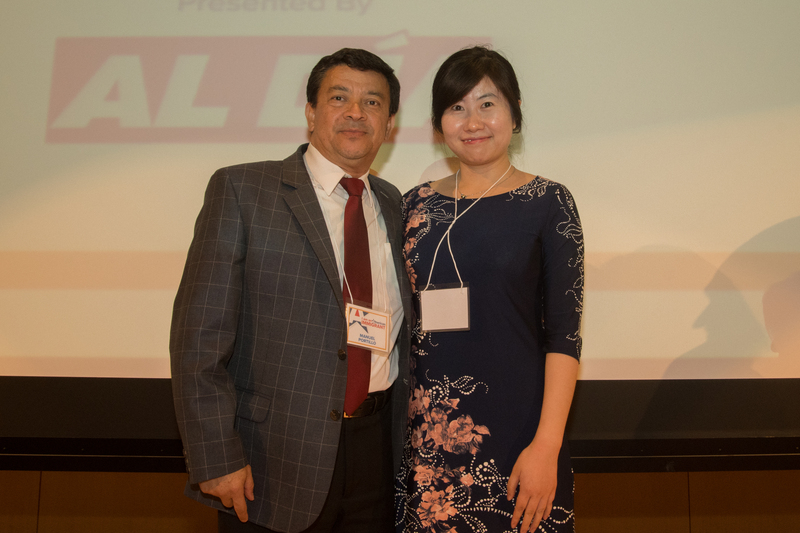 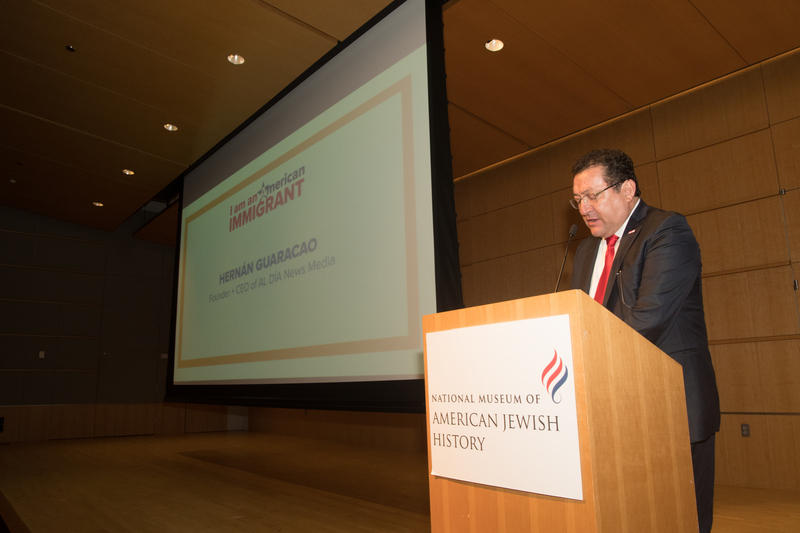 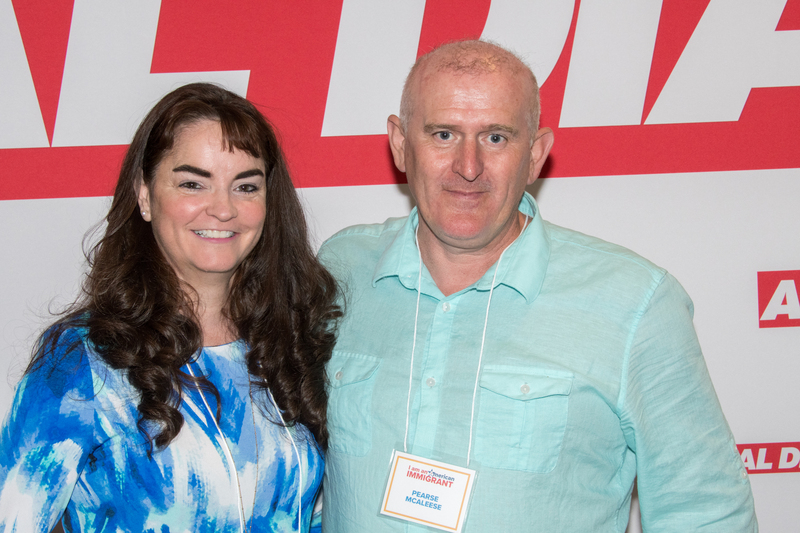 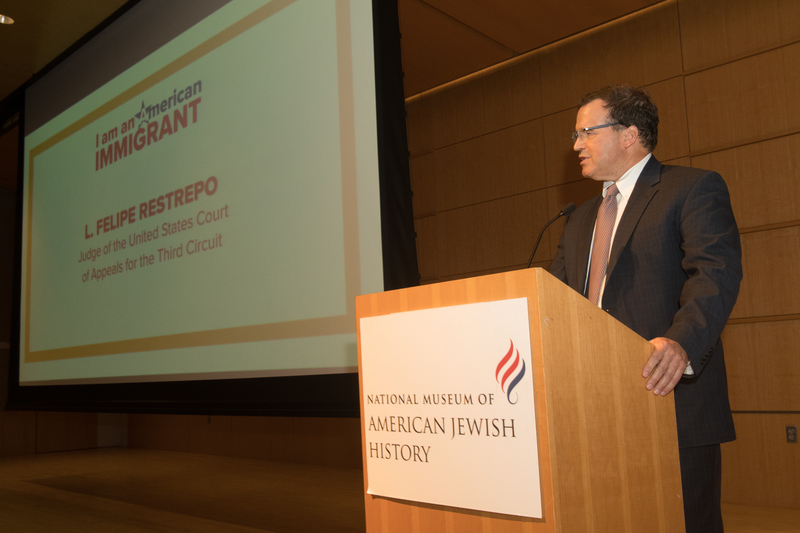 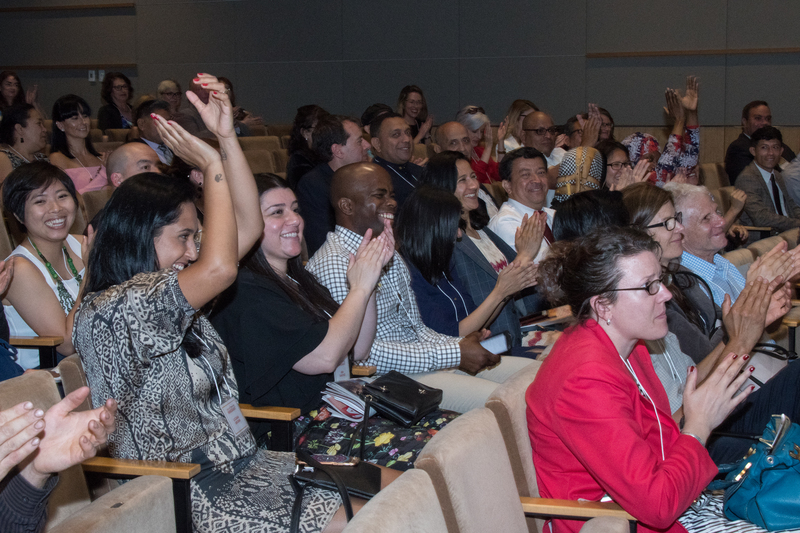 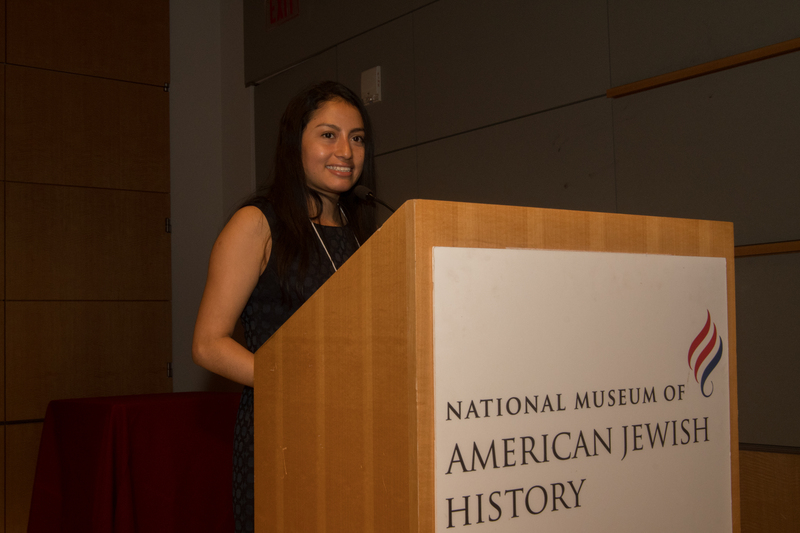 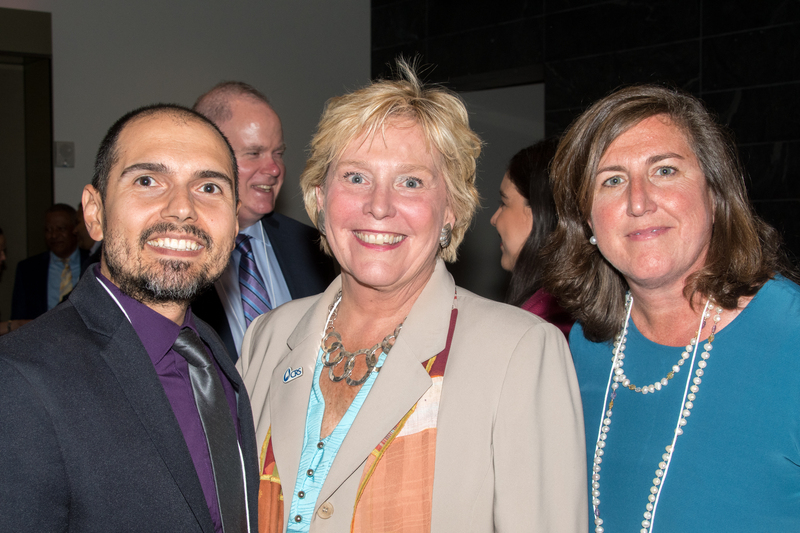 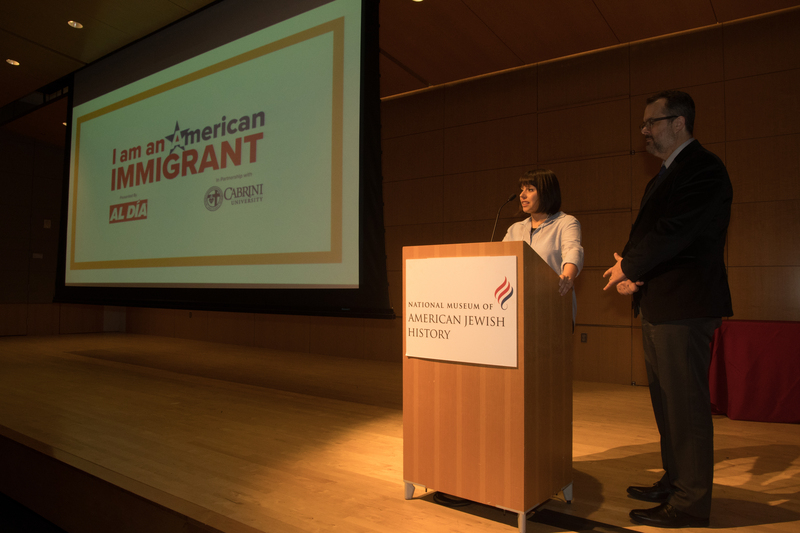 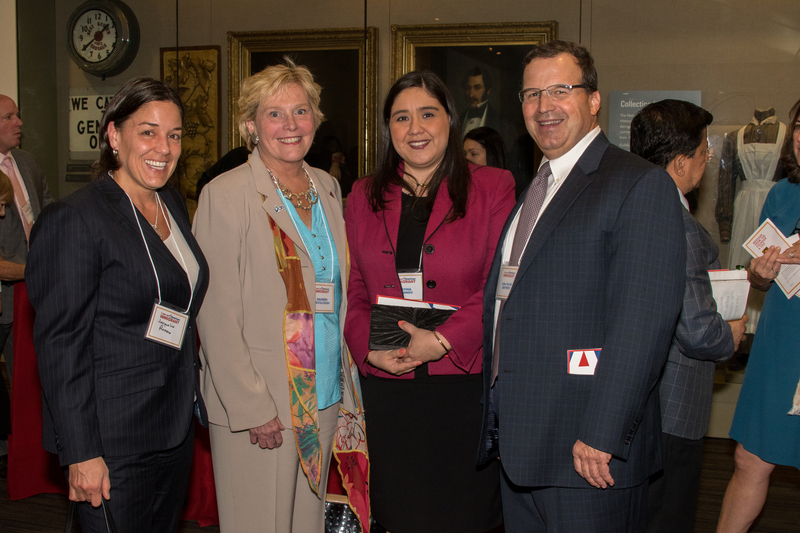 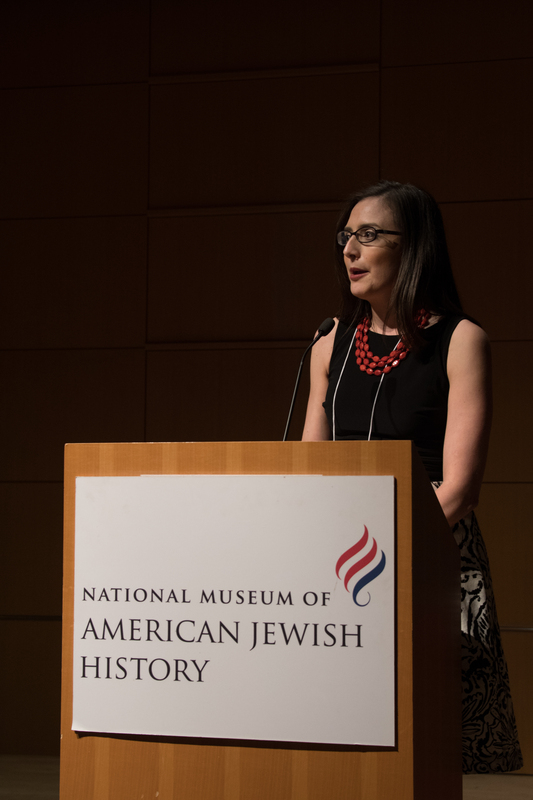 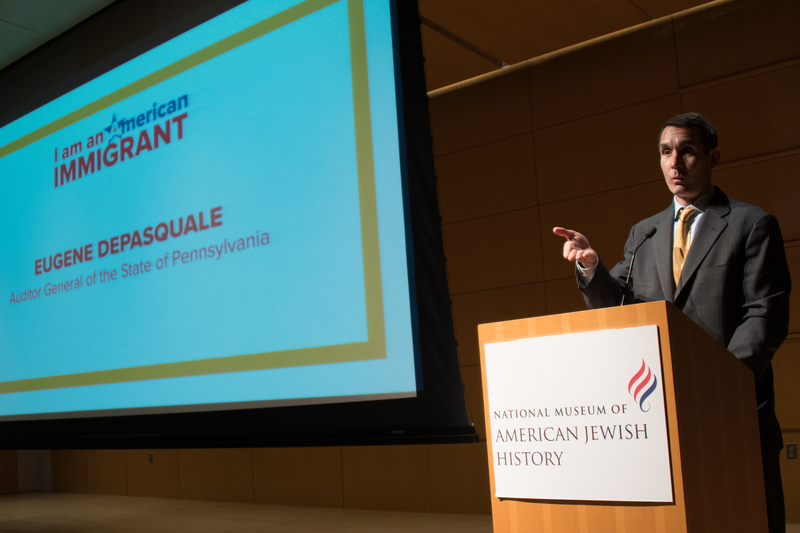 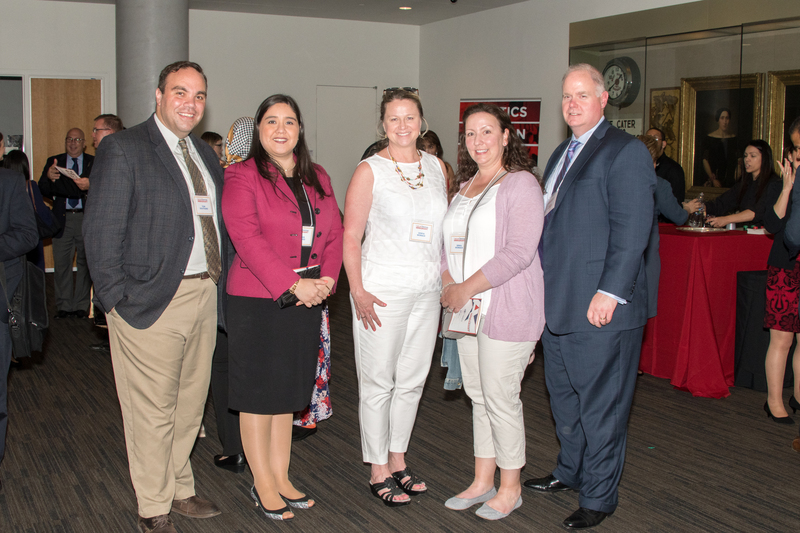 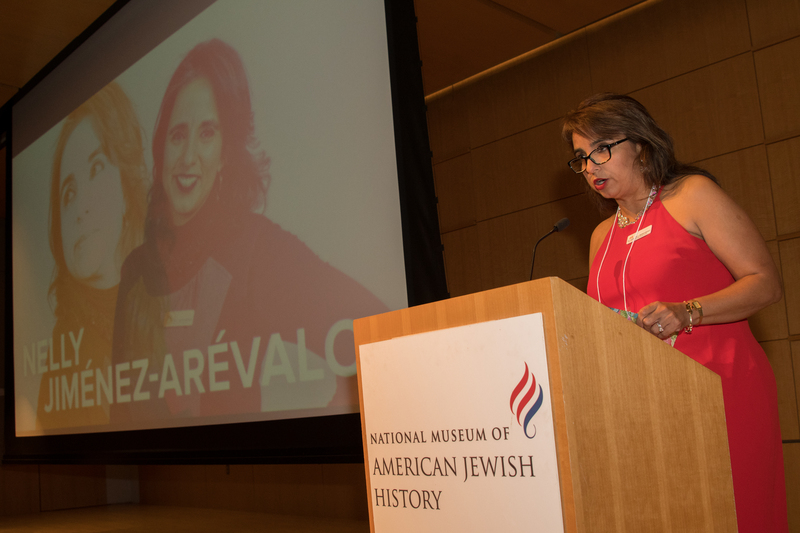 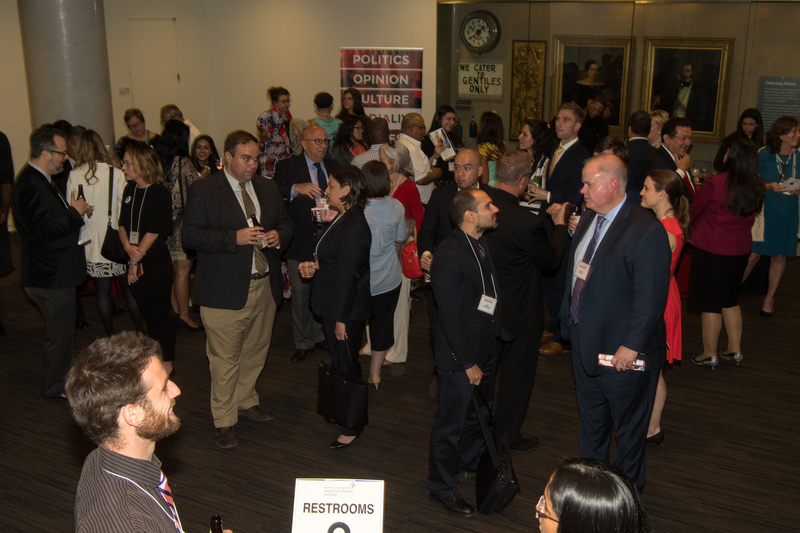 In May, the selection committee met a second time to select four honorees out of the 12 initially selected to be recognized with an award at the I am an American Immigrant Reception, which was held at the National Museum of Jewish History on June 14. 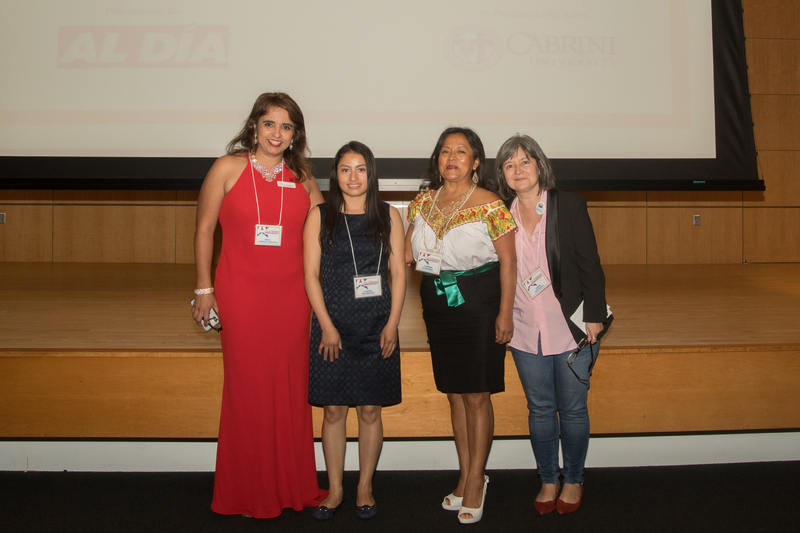 The committee chose four women: Restrepo, Jimenez-Arevalo, Guerrero, and Velásquez.